Sometimes we find ourselves between what was and what has yet to unfold. That's the liminal space - an interim space of ambiguity, disorientation, and waiting. I want to help you and your people navigate that space. We can choose to live with open hearts. Openhearted people open themselves to love, fear, grief, joy, anger, conflict, and all of the complexity of life. Together, we’ll dare to be open and vulnerable, despite the challenges of living in a world that wounds us. 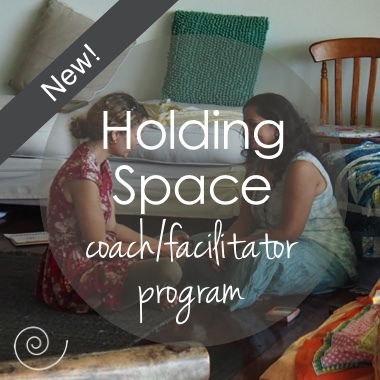 We can practice holding space for each other. When we hold space, we walk alongside without judging, fixing, directing, or controlling the outcome. We create containers of safety and support where deconstruction, gestation, and rebirth can unfold organically. We'll find connection and create community. 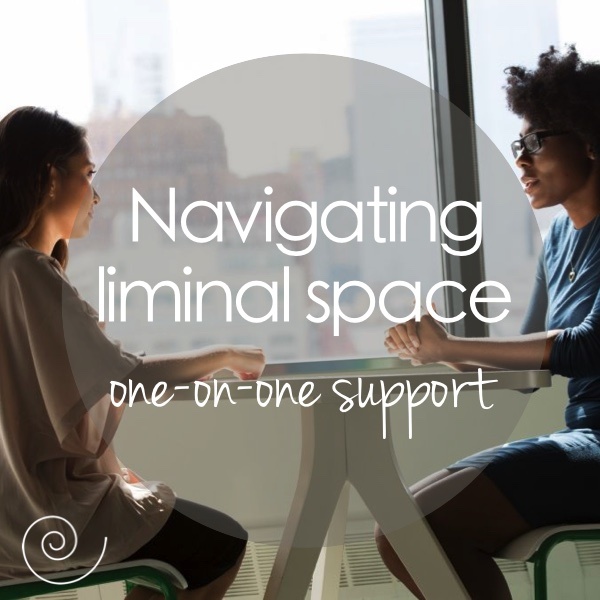 Especially in the liminal spaces, we need to connect with ourselves and with each other. 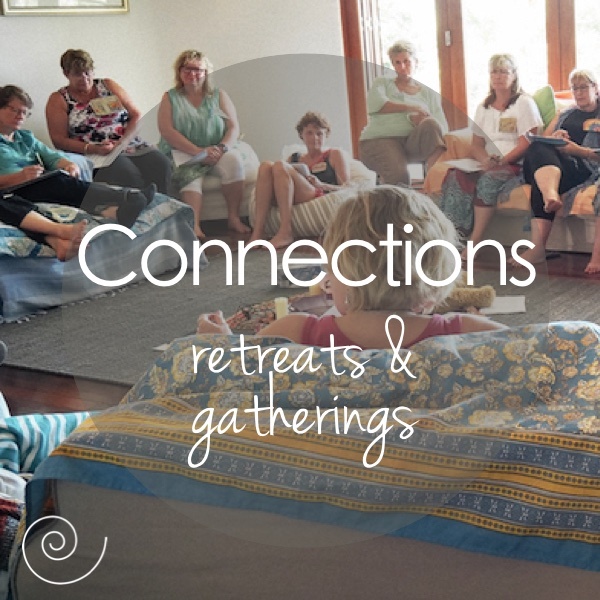 We'll co-create safe and diverse spaces for meaningful conversations, deep connection, and personal and collective growth. Together, we'll make meaning out of the chaos. 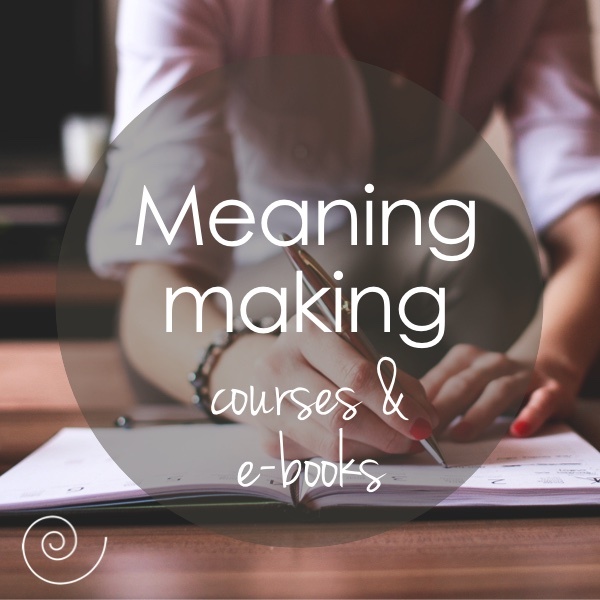 Meaning-making allows us to examine, unpack, and make sense of life events, relationships, and ourselves.  We'll use metaphors, movement, labyrinths, journals, and art supplies to help us find meaning in the liminal spaces.